In 2011, we began with just 400 vines. With the help from family and friends, have continued to expand every year. 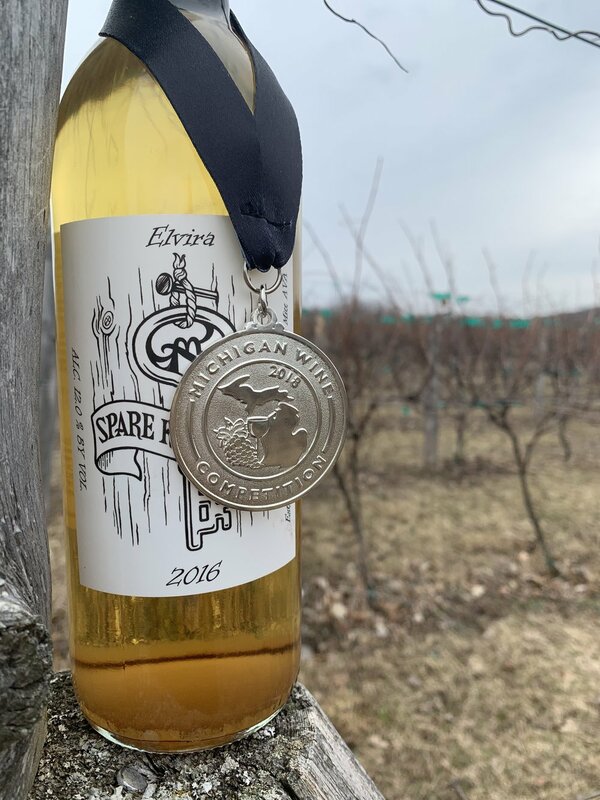 The Spare Key Winery is one of the few 100% estate grown and bottled wineries in Northern Michigan, meaning our wines are made from grapes grown in our vineyard and processed on-site.